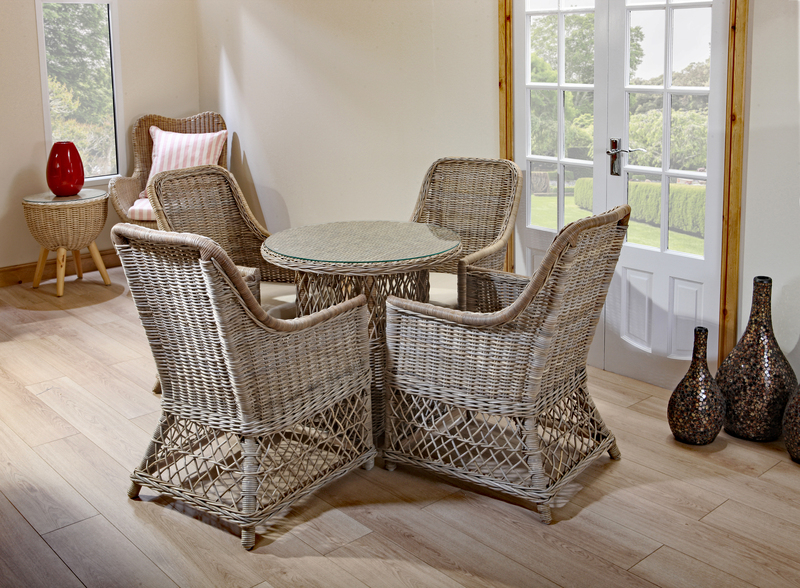 The dining arm chair is perfect for conservatories, living rooms and dining areas. 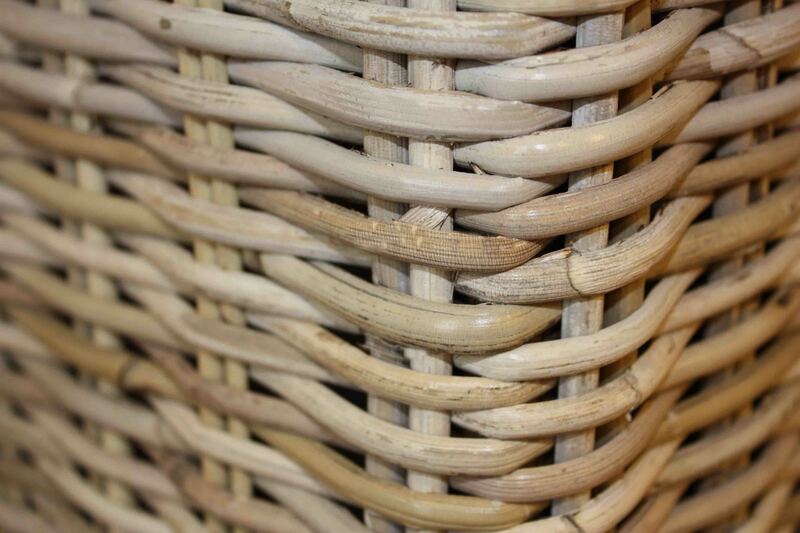 Its classic style combined with the open fret weaving of rattan makes it the perfect addition for modern or traditionally styled homes. 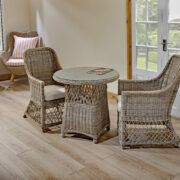 The soft kubu grey tones blend with any room layout and design. 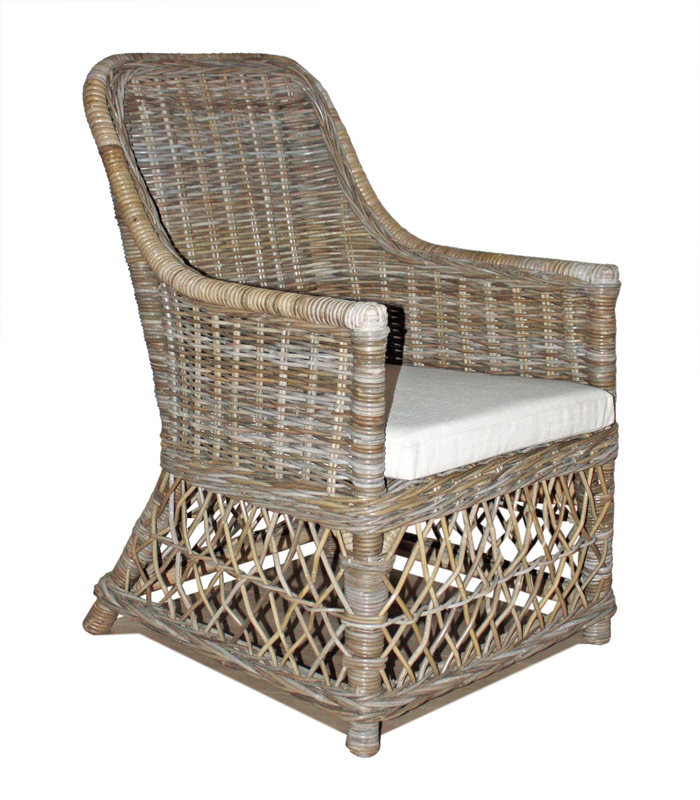 If you like deep or firm cushioning to complete the chair, then we have the answer for you. 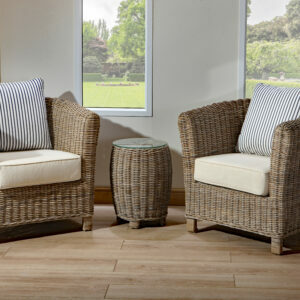 We understand that people have different preferences so you'll be able to choose from a range of fabrics and colours. 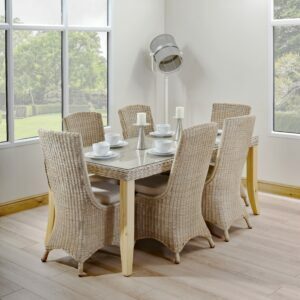 Dine in with a loved one with the matero small dining table. The open fret styled weaving combines a stylish design with a strong structure to provide you with the ideal table. 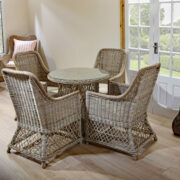 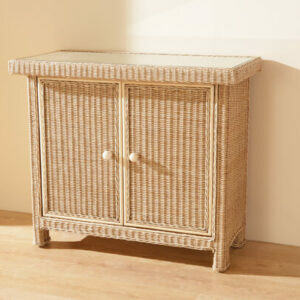 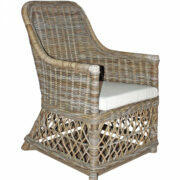 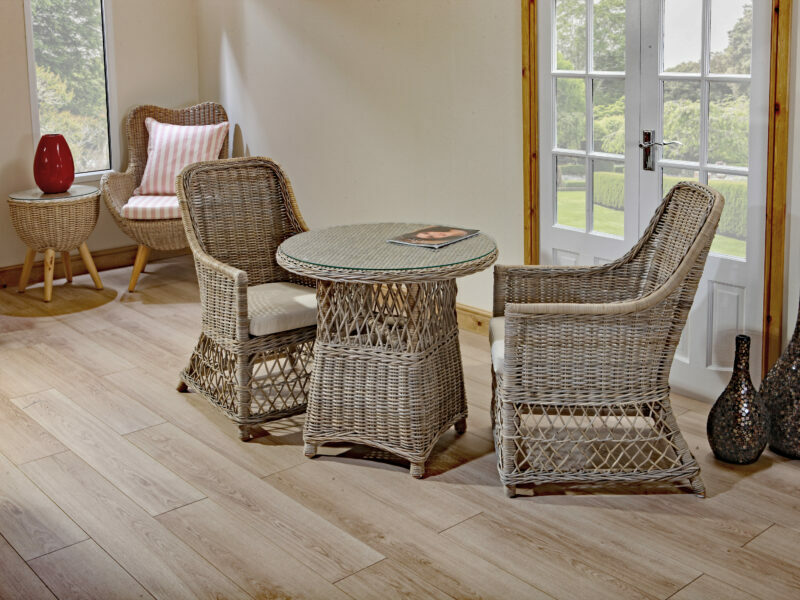 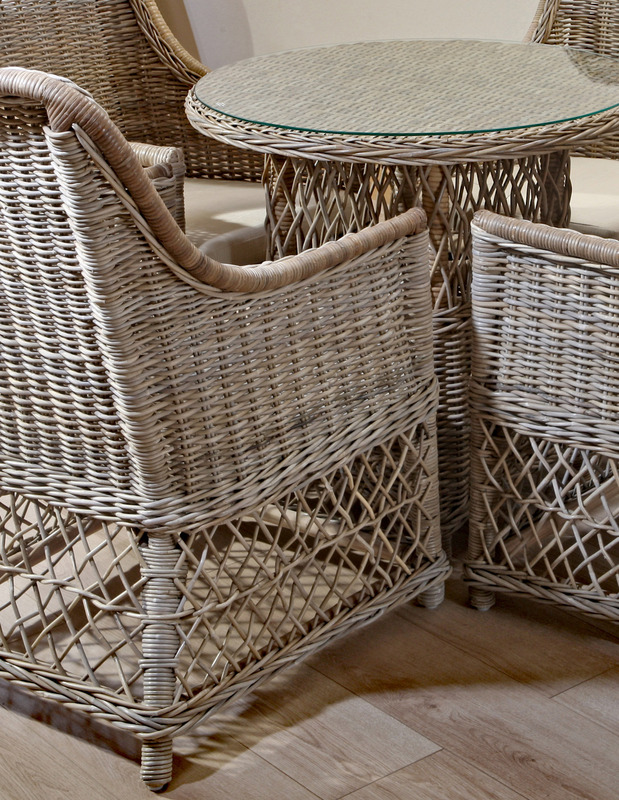 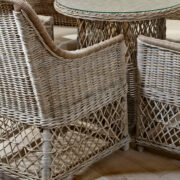 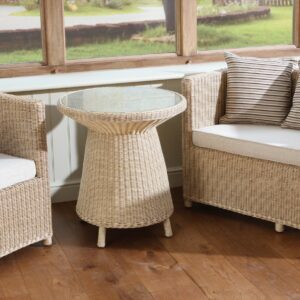 Completed with a tempered glass top, the soft kubu grey rattan tones complete the rustic, homely feel. 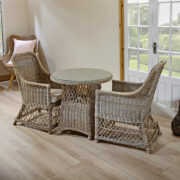 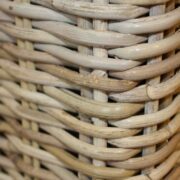 Our matero set is finished in kubu grey rattan. 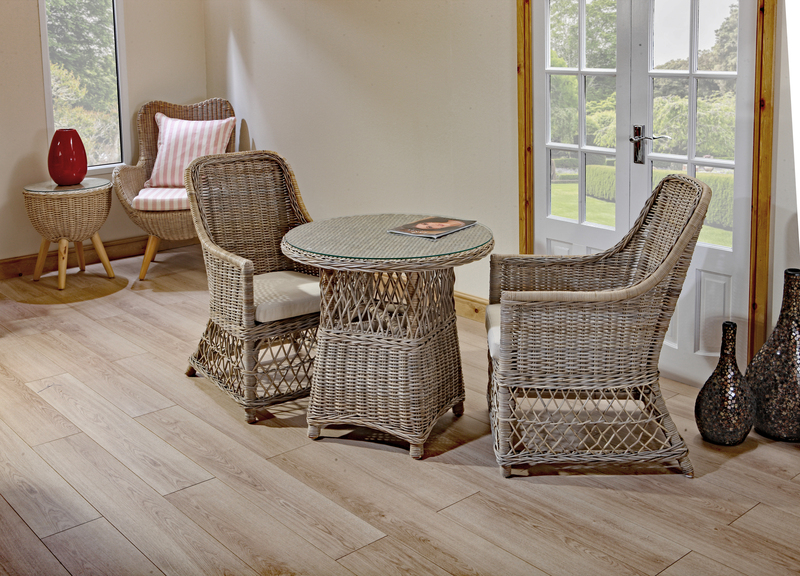 The durable material, that is easy to clean and maintain, combines style and practicality. 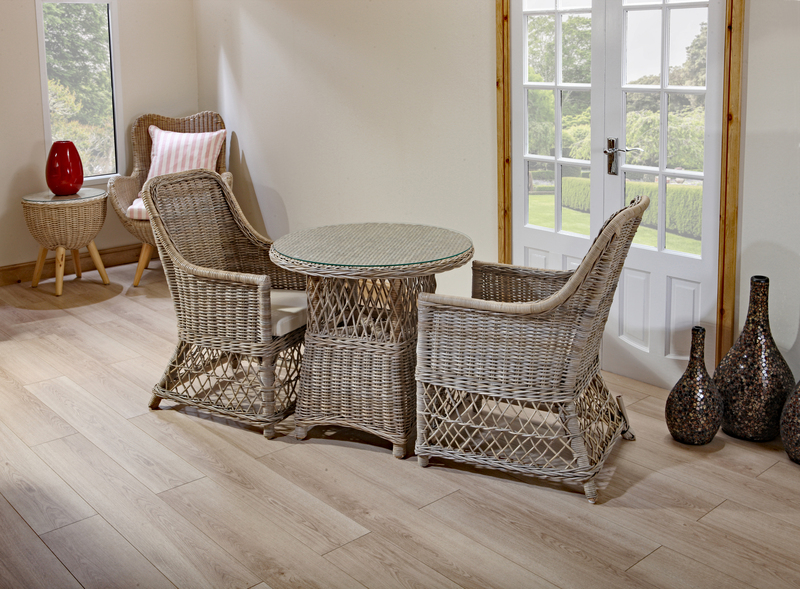 Tt’s perfect for compact rooms and intimate homes and will complement the layout of modern or traditionally styled layouts. 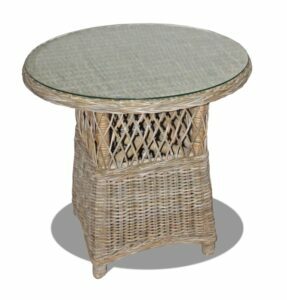 You’ll be provided with a stylish tempered glass top for the table and you’ll also be able to choose between a range of fabrics for the arm chair cushioning.